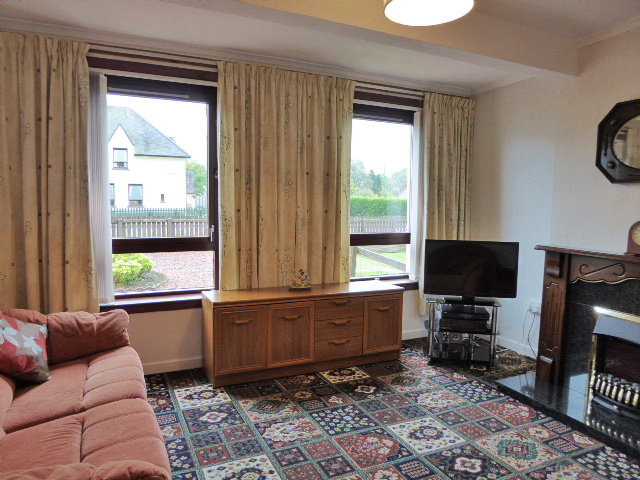 Beautifully presented and spacious 3 bedroomed semi-detached property in popular village of Caol. 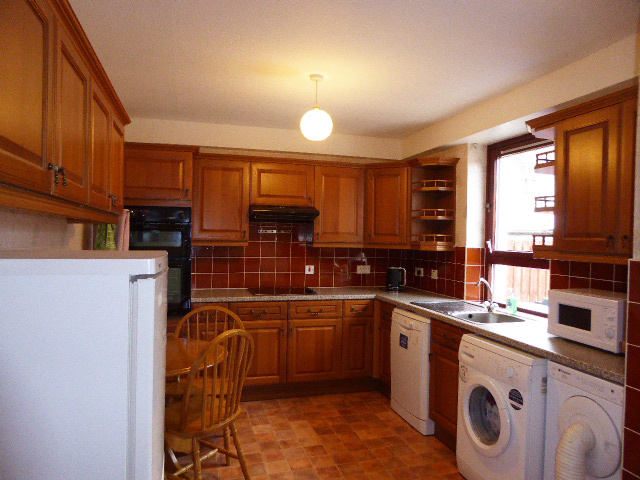 A fantastic opportunity for a first-time buyer or buy to let. 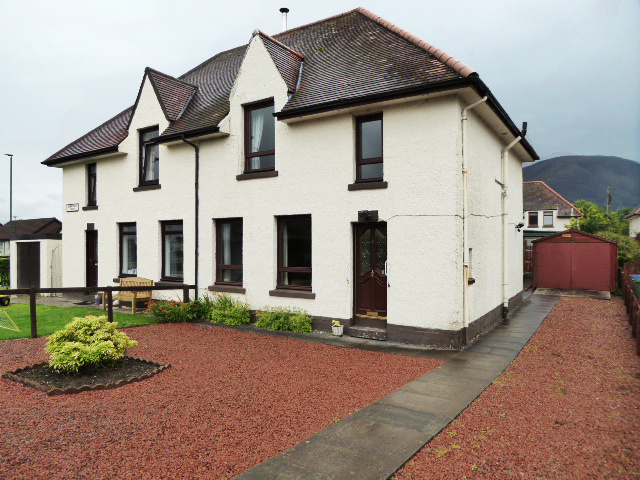 LOCATION/AMENITIES: Situated in sought after location with just a short walk to the Caol Primary School, Lochaber High School and the Medical Centre. The village of Caol is well serviced with its own grocery store with post office, supermarket, takeaways, community centre, bars and restaurant. A regular bus service operates to and from Fort William's town centre. Fort William is the main district town of Lochaber, known as the "Outdoor Capital of the UK." The town is a popular tourist destination and has a wide variety of tourist attractions including the locks at Corpach Basin on the Caledonian Canal which make ideal walking opportunities on the Great Glen Way, Ben Nevis and Glen Nevis. There is a variety of shops, hotels and restaurants, tourist information centre, museum, library, bus station and railway station with links to Mallaig, Glasgow and Edinburgh as well as an overnight sleeper to London. DIRECTIONS: 3, GLENDESSARY STREET, CAOL, FORT WILLIAM, PH33 6BT TRAVELLING NORTH: Take the A82 from Fort William, until reaching the River Lochy Bridge and turn left. At the traffic lights, take the 1st left following the road round past Farmfood's and onwards. Take the second left as you come into Caol onto Glendessary Street and number 3 is the second house on the left-hand side. 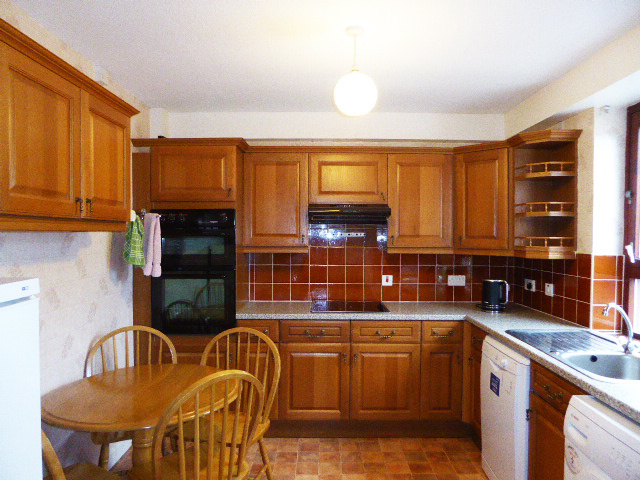 DESCRIPTION: This is a bright and spacious property which is well presented and well maintained. The property benefits from double glazing, oil fired heating, 2-year-old boiler, recently decorated and has new flooring to the master bedroom. 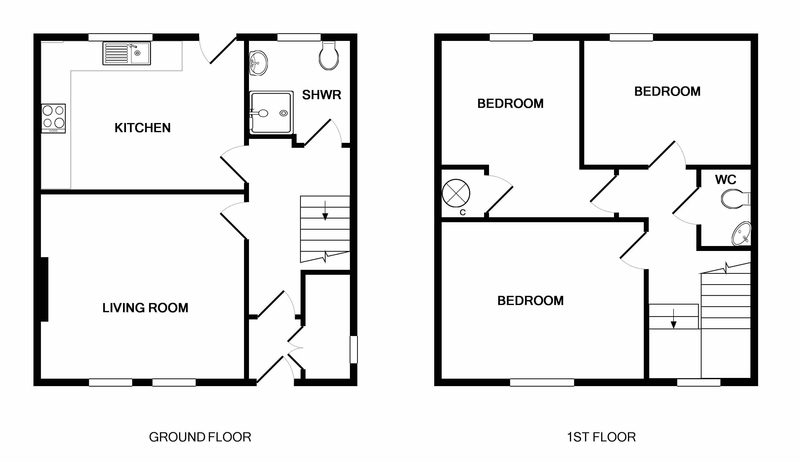 The ground floor offers a lounge, large kitchen-diner with ample storage and work-surface areas and shower room. 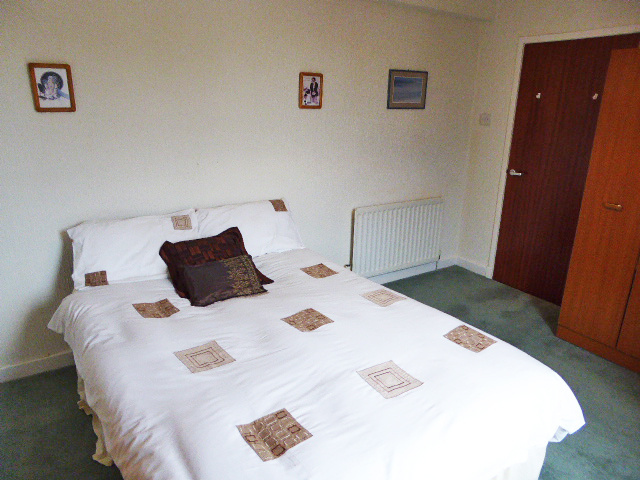 The first floor offers 3 generous double bedrooms, good storage and a W.C. ENTRANCE PORCH/INNER HALLWAY/STAIRS & LANDING: Large under stairs built-in cupboard with lighting. Window to landing. Carpet flooring to all. LOUNGE: 4.27m x 3.91m (14'00" x 12'10") (at widest points) Dual windows with hillside views. Recessed shelving and carpet flooring. 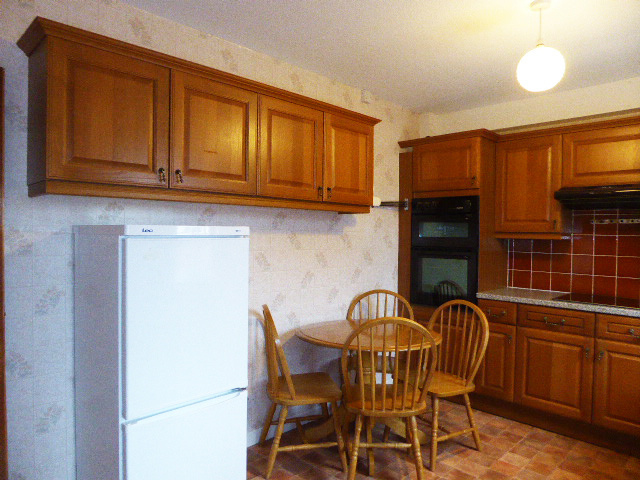 KITCHEN-DINER: 4.26m x 3.11m (14'00" x 10'02") (longest x widest points) Spacious, fitted kitchen-diner with a variety of wall, drawer and base units, integrated double oven, hob and extractor. Tile effect vinyl flooring. Fabulous views to Ben Nevis. Access to the rear garden. SHOWER ROOM: 2.14m x 1.93m (7'00" x 6'04") Shower cubicle with wet wall finish, extractor fan, W.C and wash hand basin. Tile flooring and wall radiator. BEDROOM 1: 3.90m x 3.17m (12'09" x 10'04") Fitted wardrobes with hanging rail and shelving. New carpet flooring and wall radiator. 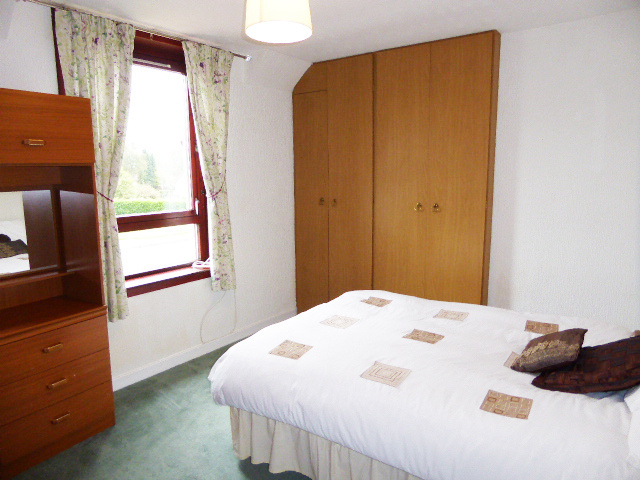 BEDROOM 2: 3.76m x 2.86m (12'04" x 9'04") Rear facing with fabulous views towards Ben Nevis and Aonach Mor. Built in cupboard that houses the water tank. 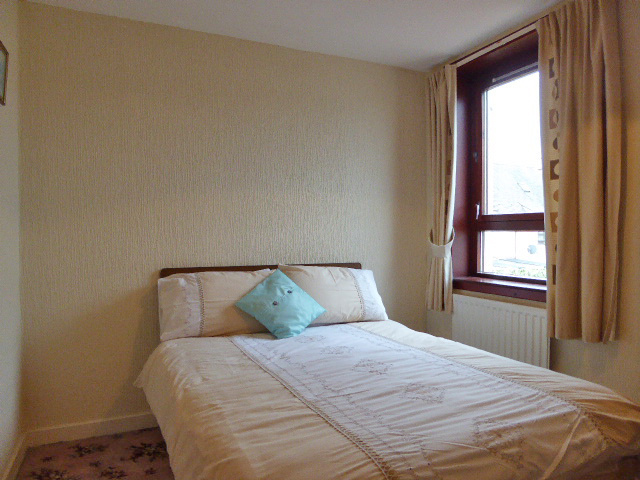 Carpet flooring and wall radiator BEDROOM 3: 3.37m x 2.74m (11'00" x 9'00") Rear facing with fabulous views towards Ben Nevis and Aonach Mor. 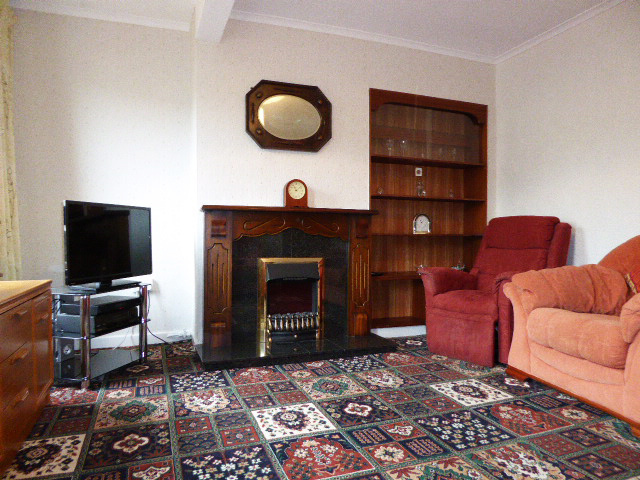 Carpet flooring and wall radiator. 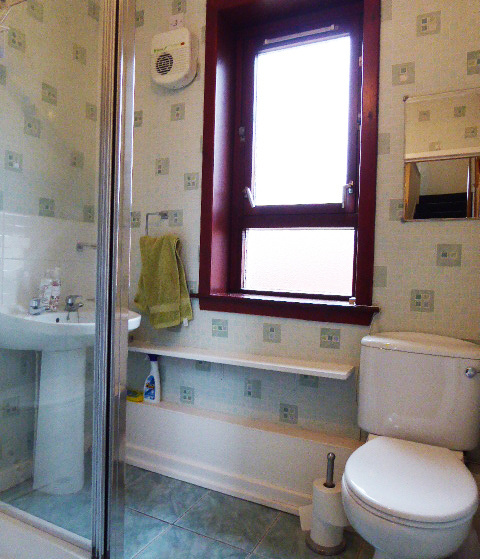 W.C: 1.30m x .85m (4'03" x 2'09") WC, wash hand basin, expelair fan and tile flooring. 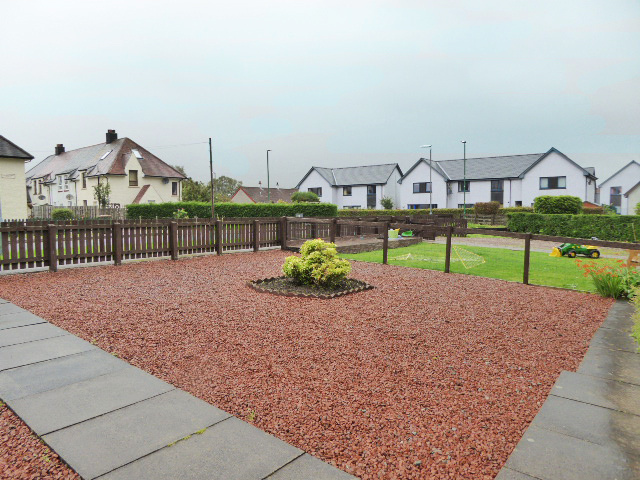 Externally is low maintenance with attractive, red stone chippings and paving as well as off street parking for approx 3 vehicles. EXTERNALLY The property benefits from front and rear garden grounds which are bounded by fencing. To the front there is gated, pedestrian and vehicular access where there is space for approximately 3 vehicles. A paved path leads down the side of the property to a garage and the rear grounds. 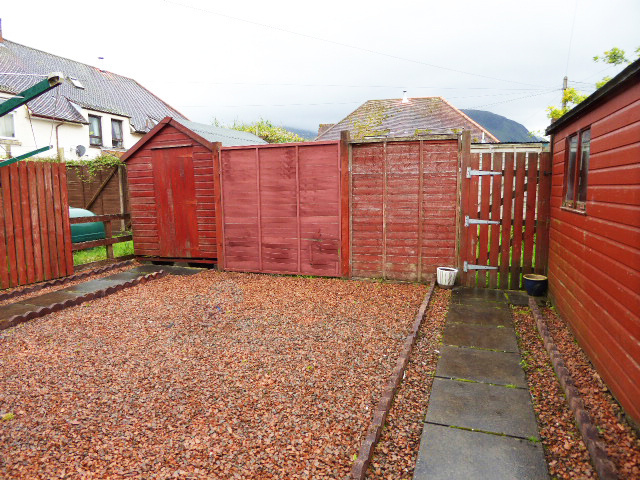 A fence and gate provide access to a grassed area and the oil tank. There are neatly kept, low maintenance garden grounds which have a small variety of flowers in a border and a garden shed.